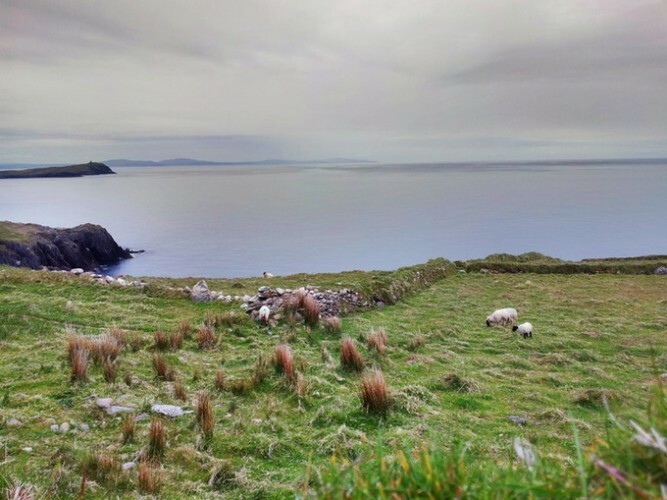 Calm Irish sheep taking in the calmness of the sea. Can you find a better way to relax? 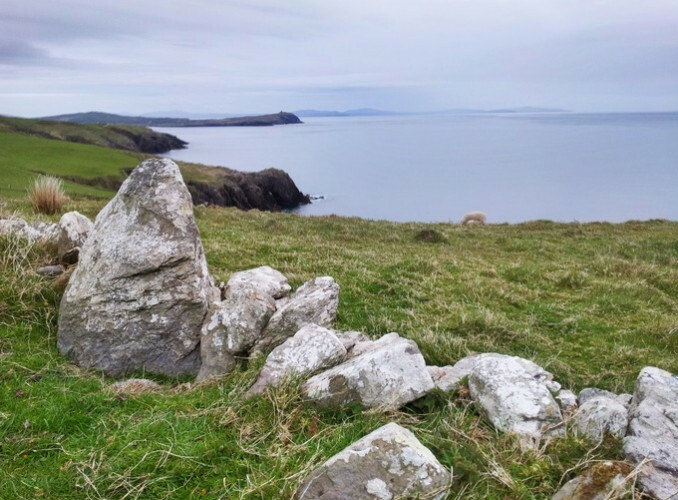 It’s difficult to visiting the island of Ireland without meandering along its coastline. By being at the coast, you’ll see a mix of soft calm seas, and ferocious waves. Here are some shots we’ve taken of views into the sea from Ireland. Enjoy, and please share with your friends! View out from Béara peninsula. You pronounce Béara like /BAYer-rah/. 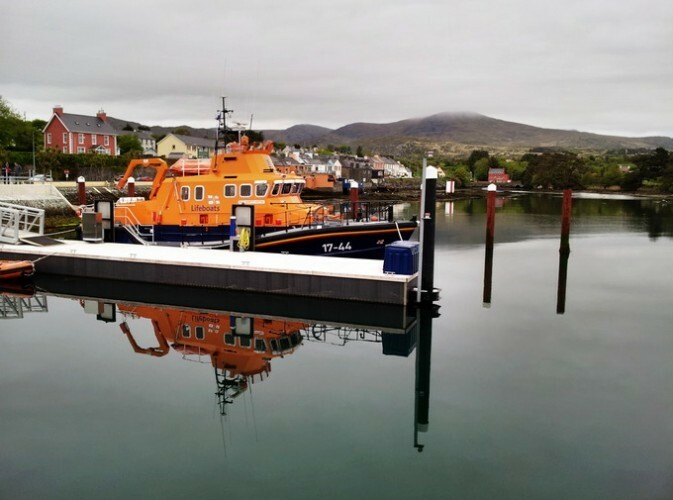 Sea rescue boat, stationed in Castletownbere, Ireland. An old sign that still stands, on the north side of Béara Peninsula. Across the water you see the next County Kerry peninsula, of which there are several. There is a Gaeltacht area on that next peninsula, but not on the one we were visiting this time. 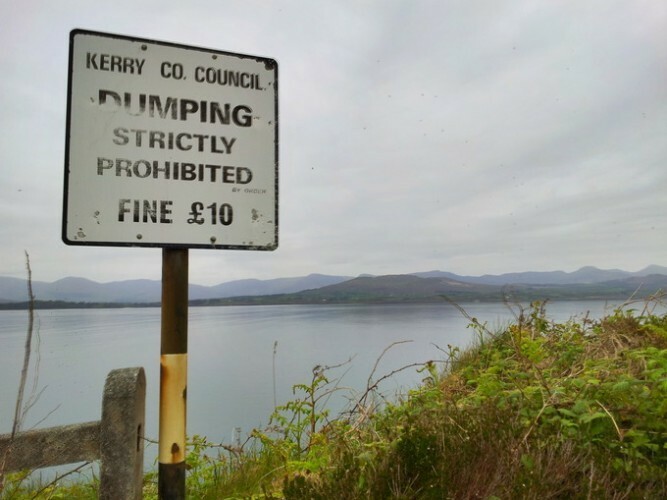 Sea view around Kenmare in Co. Kerry. It was early in the morning, and the weather was very calm. 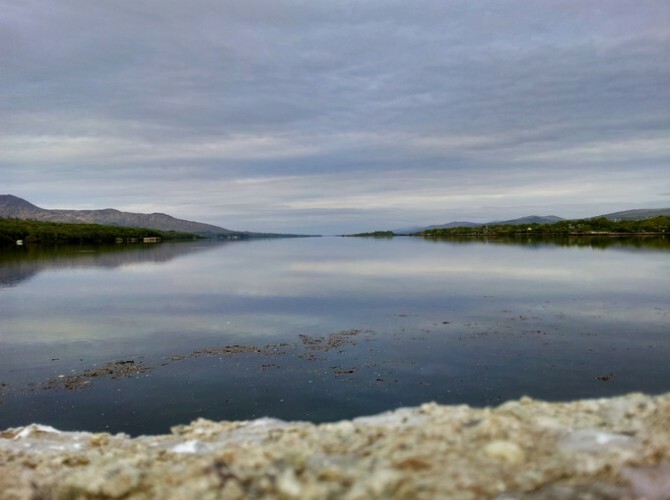 Absolute calm, as seen from Kenmare Harbor, at the base of Béara peninsula. 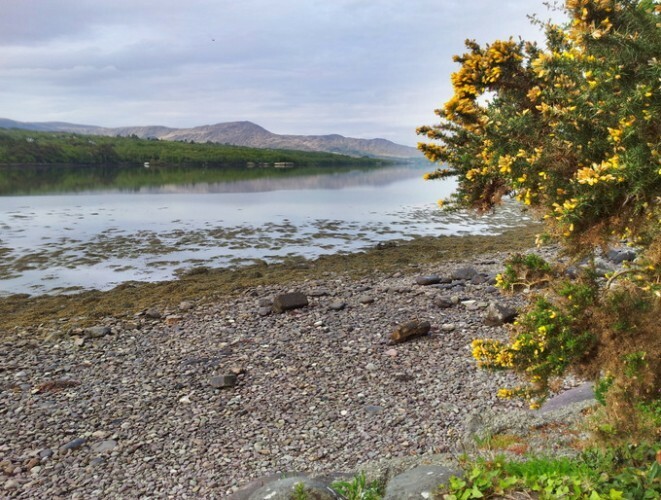 Castletownbere harbour. 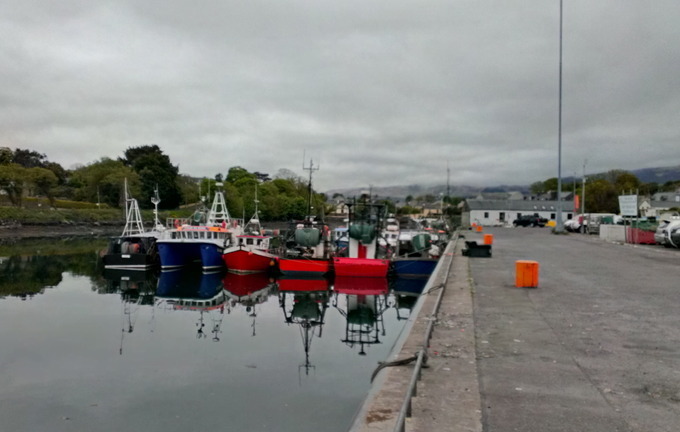 This port town in County Kerry is Ireland’s main white-fish port. Fishing is the main livelihood of people in the area. 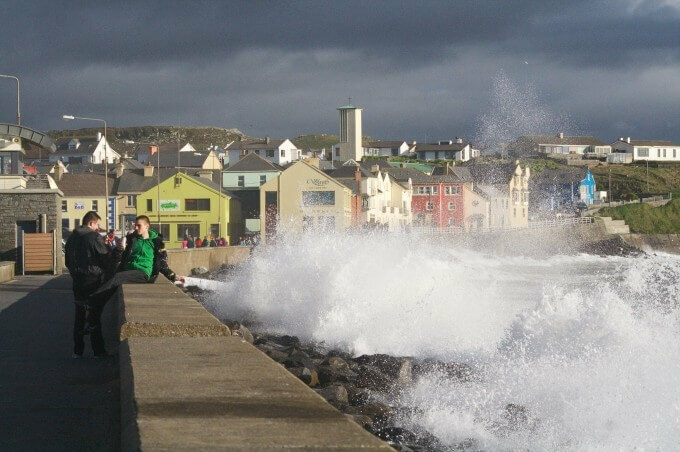 The waves washing up against Lahinch in County Clare, Ireland. The area is loved by surfers. Beautiful pictures, Eoin. I want to visit! Thanks for the awesome photos! Very Beautiful. Go raibh maith agat. lovely! i really wanna go to ireland! Last year I visited Eire for the first time. I saw the coastline near Cork-city, Cobh and Kinsale. But I want to see a lot more of Eire. After seeing this nice pictures, I’m sure I will be back!